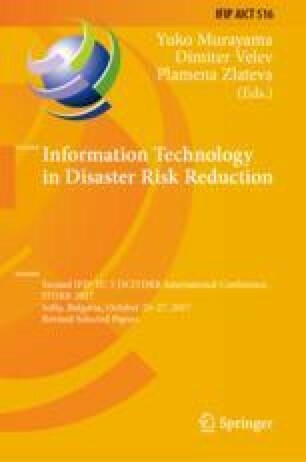 Research in the field of disaster management is done by utilizing information and communication technology. Where disaster management is discussed is about evacuation planning issues. The evacuation stage is a very crucial stage in the disaster evacuation process. There have been many methods and algorithms submitted for the evacuation planning process, but no one has directly addressed evacuation planning on dynamic issues concerning time-varying and volume-dependent. This research will use the Relaxation-Based Algorithm combined with the Route Choice Model to produce evacuation models that can be applied to dynamic issues related to time-varying and volume-dependent because some types of disaster will result in damage as time and evacuation paths are volume-dependent so as to adjust to the change in the number of people evacuated. Disaster data that will be used in this research is sourced from Disaster Information Management System sourced from DesInventar. The results of this study are expected to produce an evacuation planning model that can be applied to dynamic problems that take into account the time-varying and volume-dependent aspects.